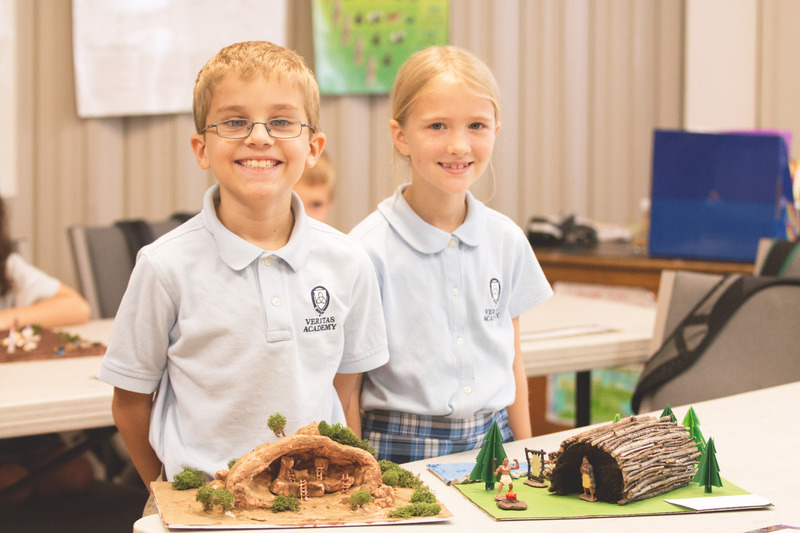 Veritas Academy is an independent school, which means that we do not accept funding from state or federal governments or religious denominations. Our independence allows us to provide our students with a truly classical and Christian educational experience. We rely entirely on tuition revenue and private donations from generous family and friends of the school, charitable foundations, and business partners. Each and every gift made to Veritas Academy makes a difference in the life of our students. Your donation will be used to a wonderful end by helping to support our academics, facilities, and operations. You can make an online donation to Veritas using PayPal. It’s safe and easy. You do not have to have a PayPal account in order to use PayPal. Simply click the button below to get started. Donations to the James 1:27 Fund will provide tuition assistance to families with adopted children at Veritas. This fund is a tangible way to encourage and support families who have taken this special option for growing their families. Please partner with us by giving to the James 1:27 Fund. Your gift will make a difference in lives of many children. For more information about the James 1:27 Fund, click here. Do you pay Georgia taxes? By giving to the Apogee Scholarship Fund, you can redirect a portion of your state tax liabilities to Veritas to provide financial aid for students, and you will receive a dollar-for-dollar tax credit for your gift. Designating your tax dollars to Veritas is easy! To be pre-approved to make a donation through Apogee, click "Apply Now" below, fill in your information, select Veritas Academy from the list of schools, enter the amount you wish to donate, and submit. Because the yearly cap for donations will most certainly be met on January 1, 2019the deadline to apply for pre-approval is December 15, 2018. Payment will not be due until February2019. Click here to learn what your gift can do!